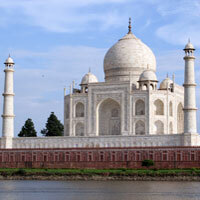 Leisure Tour of India is a special and highly in demand India tour. Cultural heritage, modern development, uniquely Indian experiences and leisurely sojourn at world-famed Goa beaches are the highlights of Leisure Tour of India. It covers six prominent tourist destinations – Delhi, Agra, Jaipur, Udaipur, Mumbai, Ajanta-Ellora & Goa. Delhi is symbol of rich historical and archaeological lineage of ancient, medieval and modern era.Agrawith three UNESCO World Heritage sites of Taj Mahal, Agra Fort and Fatehpur Sikri is a prime tourist destination. jaipur epitomizes royal Rajasthan. 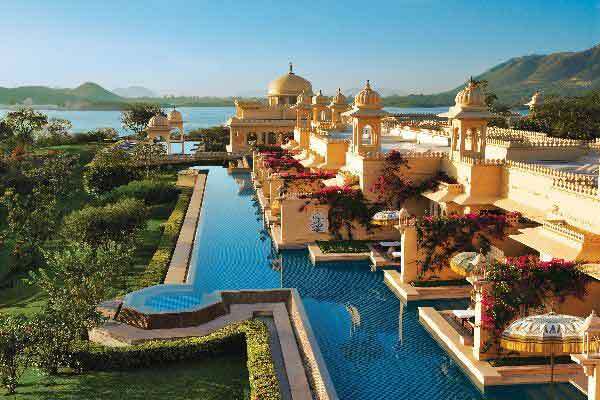 Udaipur evinces glorious Rajput archaeological and cultural heritage. 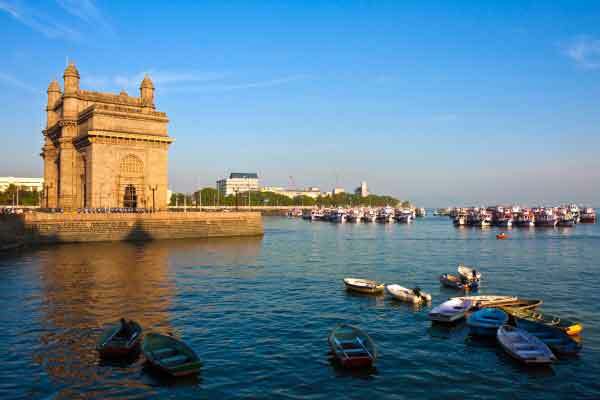 Mumbai symbolizes modern India with deep cultural roots into centuries old traditions. Ajanta and Ellora, UNESCO Heritage sites, showcase zenith of architecture, frescos, art forms and sculpture, right from Buddhist era to 7th century. Goa with blue water beaches is the final statement of leisure. Day 1 Delhi arrival & transfer to Delhi hotel. Day 5 Jaipur city sightseeing tour. Delhi is enriched with long historical past, glorious culture, an enviable treasure of monuments and modern infrastructure. Delhi, currently the capital of Indian Republic, has passed through several upheavals during its thousands of years of existence and has witnessed many ups and downs of history with many dynasties flourishing and diminishing with the passage of time. Delhi has been built nine times over the years and accordingly named in the scriptures. Indraprastha, known as first Delhi, was founded by Pandavas of Mahabharata in around 1500 BC. Qila Rai Pithora, termed as second Delhi, was built by Raja Anang Pal and later re-christened by Prithviraj Chauhan as Lal Kot. Siri, the third Delhi, was founded by Ala-ud-din Khilji. 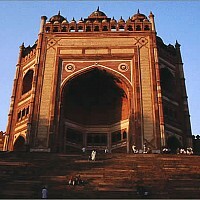 Siri Fort, a major tourist attraction, is a famous monument of that time. Tughlaqabad, called as fourth Delhi, had been founded by Ghiyas-ud-din Tughlaq. Tughlaqabad Fort is a testimony to that. Jahan Panah, the fifth Delhi and a walled city, was constructed by Muhammad bin Tughlaq to address the constant threat of Mongols. The sixth Delhi, Ferozabad, was founded by Feroz Shah Tughlaq and its testimonial evidence can be seen in the form of 13-metre high tapering quadrangular pillar adjacent to Ashokan pillar. Din Panah, the seventh Delhi, was rebuilt afresh by Humayun and later razed and constructed by Sher Shah Suri. Earlier this Old Fort or Purana Qila was seat of legendary ruler Prithviraj Chauhan. The walled city of Shahjahanabad, known as eighth Delhi, had been founded by Mughal emperor Shah Jahan who built Taj Mahal as well in Agra. Modern and present day Delhi, the ninth Delhi and known as Lutyens' Delhi or New Delhi has been laid down by the British. Mumbai is the capital of Maharashtra and financial capital of India. It is a sprawling metropolis which traces its history to a set of seven islands given to the British monarch Charles-II as part of the dowry, when he married Princes Catherine of Portugal in 1661. The name Mumbai has been derived from MUMBA AAI or MAHA AMBA AAI- the patron goddess of Kolis of fishing community. 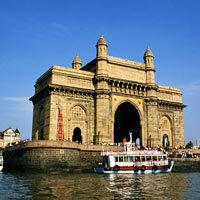 Mumbai's two main land marks, the Gateway of India and the Taj Mahal Hotel are at Colaba. Nariman point is at the southern end of Marine Drive. At the other end of Marine Drive is Malabar Hills, a posh residential area. Today, it is a hub of activity, trade, industry and finance. As the commercial capital of India and the world's largest textile market, Mumbai ports handle around 40 percent of India's maritime trade. Some areas in Mumbai like Dharavi are amongst the most thickly populated in the world. Mumbai has diverse population, where the extra-ordinarily rich exist side by side the appallingly poor, and yet, co-exist. About 400 kilometers eastward of Mumbai, is Aurangabad, the most convenient base for seeing India's timeless art at the renowned Ajanta and Ellora , both on the UNESCO's World Heritage List. The thirty caves at Ajanta, chiselled out of rock by Buddhist monks between 200 BC and 650 AD as chaityas (chapels)and viharas (monasteries), contain magnificent sculptures and frescoes. At Ellora are thirty-four Buddhist, Hindu and Jain rock temples carved top downwards from a two-kilometre escarpment between 350 AD and 700 AD and decorated with a profusion of sculptures. These includes the Kailasa Temple, the largest monolithic sculpture of the world, covered with a variety of finely carved panels, with entailed removing of some 200,000 tones of rocks! The brilliant green of the paddy field and the tiny hamlets with white painted churches stand out against a brilliant red soil-Goa startles, enchants and hypnotizes with its blends of East and West. This is after all an erstwhile Portuguese colony and the colonial masters have left behind a rich cultural legacy. India's finest beaches are in Goa. The Tomb of St Francis Xavier in Old Goa is a major Christian Pilgrimage. The elegant Portuguese mansions resting in sleepy villages are enchanting. Goa is a new state of India and its capital Panjim though has modern buildings but still contains the charm of small town feel. The old buildings which impart it special pristine charm include the Idalcao Palace, Braganza Institute, Largo da Igreja (the Main Square, dominated by the Church of Immaculate Conception). The nearby Dr Salim Ali Bird Sanctuary is a nice excursion. Also called Valha Goa, Old Goa is the erstwhile capital of Albuquerque and the heart of Portuguese Goa. The Tomb of St Francis Xavier inside the Basilica of Bom Jesus attracts millions of devout here annually. Mapusa, the administrative headquarters of Bardesz talluka, boasts of St Jerome's Church, Our Lady of Miracles and the Maruti Temple. Coconut-fringed sandy beaches dot the coastline in Bardez and Pernem talukas, in north Goa. Margao, the capital of Goa's most prosperous taluka- Salcete- is the second largest commercial centre in Goa. Margao exudes the pristine colonial charm in its subtlest form. Margao usually serves as an overnight stop for visitors who are about to hit the beaches of south Goa but the Baroque-style Church of the Holy Spirit, and the many fine 17th-century houses are worth checking out. The famous beaches of souther Goa are Benaulim, Varac and Colva with many luxurious beach resorts. 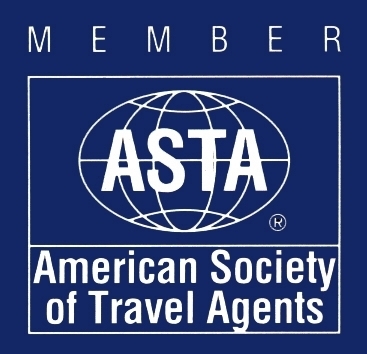 Goa is known for partying and festivals and fairs give opportunity to party with religious and cultural fervor. It can be observed in the celebration of several Christian festivals in Goa with much gusto. These include the Feast of Three Kings, Feast of our Lady of Miracles, Feast of St Anthony, and Feast of St Francis Xavier. The largest non-religious celebration is the Carnival, marked by colorful processions complete with floats. Goan food is hot, making good use of the bird's -eyes chilling grown locally. The dishes show a strong Portuguese influence, although local flavors are also apparent. The signature dish is the spicy pork or beef Vingaloo. The Goan sausage-chorizo-is 'hot', literally. Other notable dishes include sorpotel (Pickeled pig liver and heart) and chicken xacuit. The juice of the cashew fruit is fermented to produce feni, the potent local brew. Goa is one place that knows how to party, where people come for their bit of fun and sun. The best time to be here is around New Year, when the wildest parties in the country are thrown all over Goa. It's an experience few can forget. Total Meals: 16 (Breakfast-13, Dinner-03). Total night stays: 13 (Delhi-02; Agra-01; Jaipur-03; Mumbai-01; Aurangabad-01; Goa-03). Along with breakfast at all places, during Goa stay 03 dinners are also part of package. Do watch ‘aartis’ at two different places/ temples. One aarti at Birla Temple of Jaipur. That is usual ‘aarti’. In Govind Dev Ji Temple, the ‘aarti’ is of different form and called ‘kirtan’ as well. In the evening, hire an auto-rickshaw and move out to catch a Bollywood blockbuster in Jaipur. For the sake of feel and enjoyment, do street-shopping in at Janpath & Connaught Place market. Enjoy late-night parties on Goa beaches. Explore colorful beach-side ‘haats’ or ‘bazaars’ adjacent to beaches of Goa. Delhi:Spices from Chandni Chowk and handicraft items of different states of India from state emporia. Jaipur:Environment-friendly printed clothes, jewellery and ethnic goods. Udaipur:Pieces of Mewar school of paintings. Delhi:street foods of Delhi in Chandni Chowk. Goa:Do taste Feni- a local Goan alcoholic beverage.